We love retro fashion and design because there’s beauty and a touch of irony in nostalgic simplicity. If I want a mindless good time in film land, there’s nothing like a trip to the past that never existed. I’m thinking of Doris Day singing over daisies and the like. 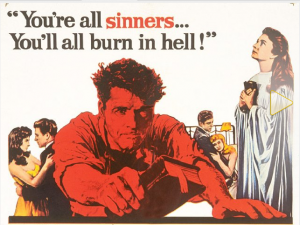 But wait, there’s more… ladies, I bring you Elmer Gantry, circa 1960. This film really breaks the mold, I mean not moldy at all, in fact disturbingly current in it’s profile of a man living by his wits alone who scores big time when he discovers the path to success through exploiting the town folks religious beliefs. Elmer Gantry is a shady traveling salesman who happens upon a revival meeting. When he sees the beautiful evangelist Sister Sharon Falconer filling the tent up with paying sinners, a light bulb goes off. Forget farm tools, religion is the plastics of 1920’s America. There’s a point where you start to believe that Elmer will go straight. Alas, he can’t escape his womanizing past with the reappearance of Lulu Baines, the bawdy bad girl he can’t forget. There’s so much going on here. 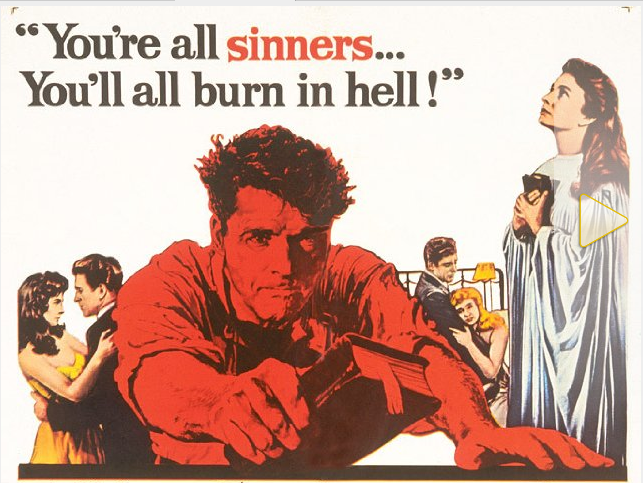 Elmer Gantry was based on a novel by Sinclair Louis. We’ve got Shirley Jones in her Oscar winning role as Lulu Baines. Yes, that Shirley, the Partridge Family mom. Remember now, it’s 1960 and Lulu describes a scene saying, “he rammed the fear of God into me so fast I never heard my old man’s footsteps.” Oh yeah, and “you’re amusing and you smell like a real man”. This is great stuff. Move Elmer Gantry to the top of the NetFlix queue. Thanks for the kind words and for alerting me to your Travel Writing book.